I just had to share this picture with you. While we were in Denmark this summer we visited Tomas’ cousin and her family. Their home was straight out of a fairy tale, with a thatched roof, fruit trees throughout their property, and this amazing boxcar. 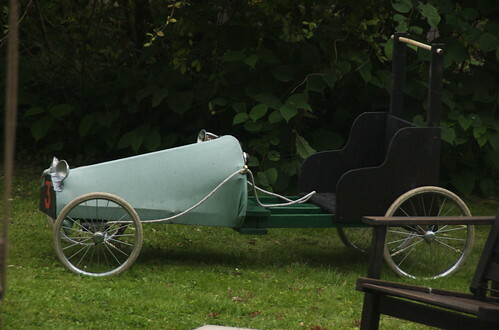 Louise built it for her son some years ago out of found objects and a heck of a lot of creative thinking and ingenuity. I’m hoping to convince Tomas that Tor needs one just like it!